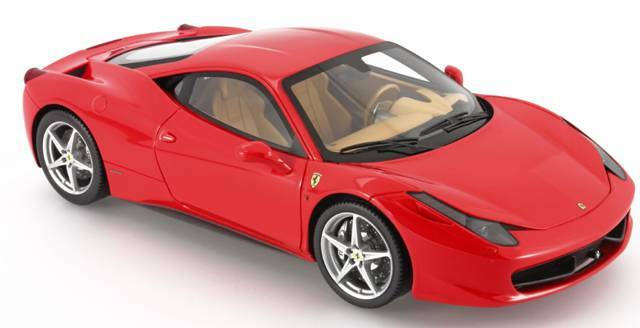 Another beautiful Ferrari replica in 1:18 scale by BBR Models, this is the 2009 Ferrari 458 Italia version in red. Impeccable detail both inside and out, the precision model features a opening hood to show off the highly detailed engine, includes a flip up trunk panel, complete with a stunning high luster paint job. This is a fully finished die cast metal model and a must-have addition to your Ferrari model collection.